Nuke Tips – Kronos, MotionBlur, Oflow, or VectorBlur? The last draft for this article dated back to Jan 25, 2016… time to revive it! The great thing with Nuke is that we have many ways to skin a cat problem. I’ll be focusing on adding motion blur to CGI FX elements like fire, blood and debris. Yes you can abuse I mean use Kronos and Oflow for adding motion blur instead of slowing down footage! Time to explore the various methods and see which one make or break depending on the situation. Do not get confused with MotionBlur2D and MotionBlur3D which are not designed to generate motion blur by analysing the image sequences. 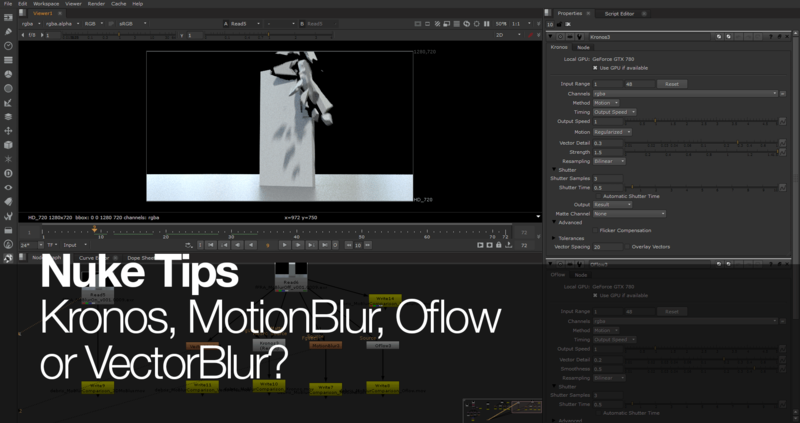 MotionBlur2D uses the Transform animation while MotionBlur3D uses the camera animation to generate motion blur. In this tutorial, you’ll learn practical compositing fundamentals and the typical process that a Nuke compositor faces in a small project. At the end of this tutorial, one will be able to do a quick compositing (aka slap comp) and fine tune the final result with flexibility based on feedback from supervisors/directors/clients. For this project, the task involves creating a believable rack focus shots of hundreds of teapots. Given the nature of team work in the industry, the 3DCG renders has been done by the 3D team and it is the compositor’s role to take the various render elements from it to be composited into the desired results. 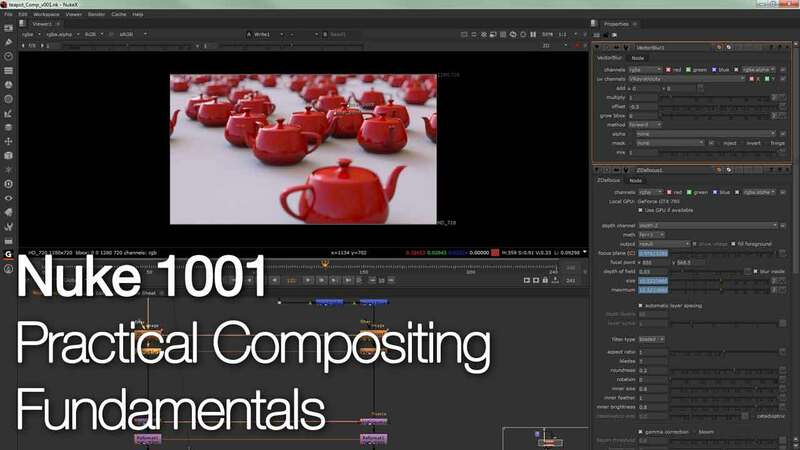 Again, the goal of this tutorial is to show the fundamentals in a compositing and remember that every facility has their own compositing pipeline but nonetheless shares a common fundamentals in any compositing tasks be it 3DCG, live action or motion graphics. While I’m not a dedicated compositor at my current workplace (my current job involves creating FX elements such as fire, smoke, debris or blood), any FX artists need to know the process of creating a “slap comp” to see if their FX are integrated nicely into the scene. aka render elements from the 3D renderer). are prepared in a “perfect case scenario” but do keep in mind that in the industry, things often goes awry from my experience (I can’t comment on Western-pipeline studios but it is common occurrence for Japanese-pipeline studios as my workplace is an outsource studios for many Japanese AAA projects). Basically, prepare to die I mean sacrifice lots of time and money when you just starting out in this industry. So with that out from the bag, let’s proceed to the actual compositing in Nuke!